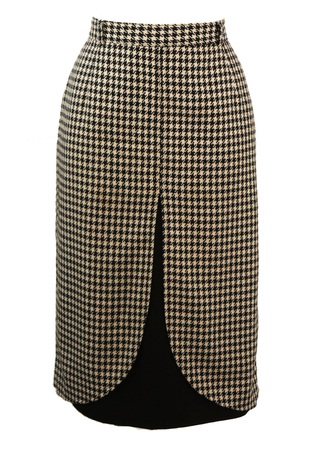 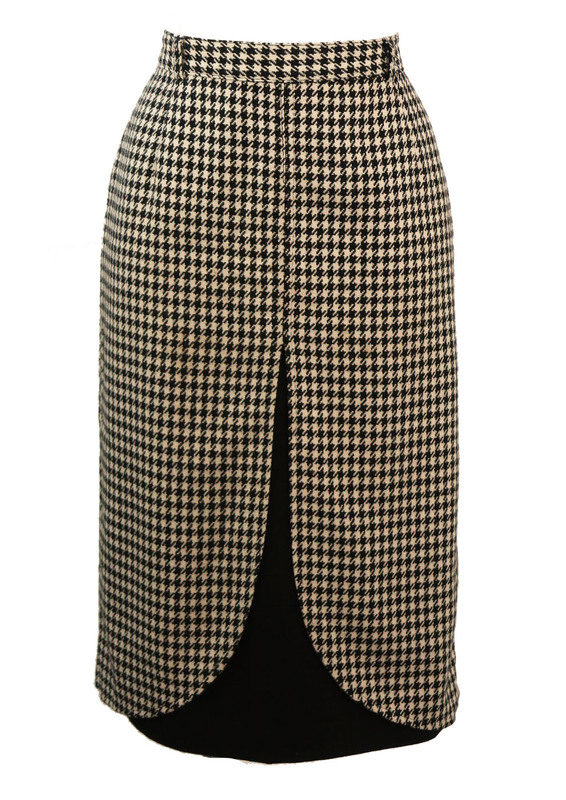 Fitted wool skirt with a striking black & white houndstooth check and curved cut away detail in black. 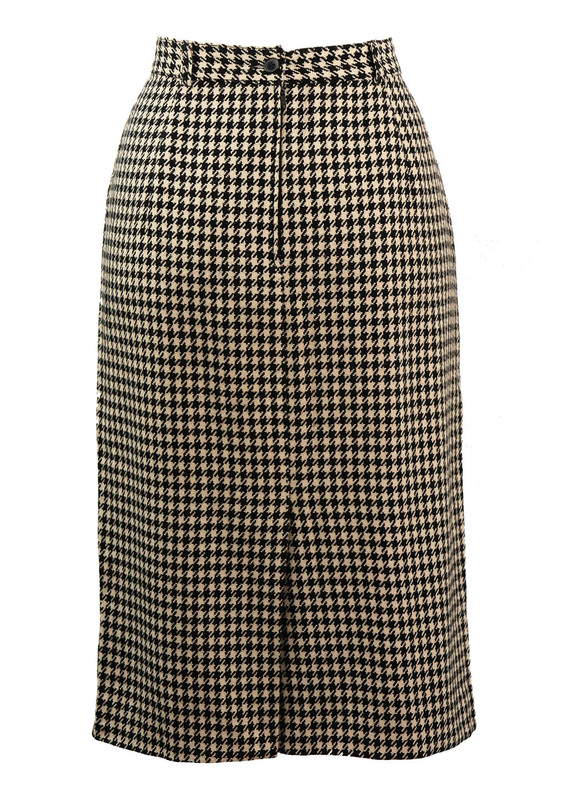 The skirt is fully lined and sits below the knee. 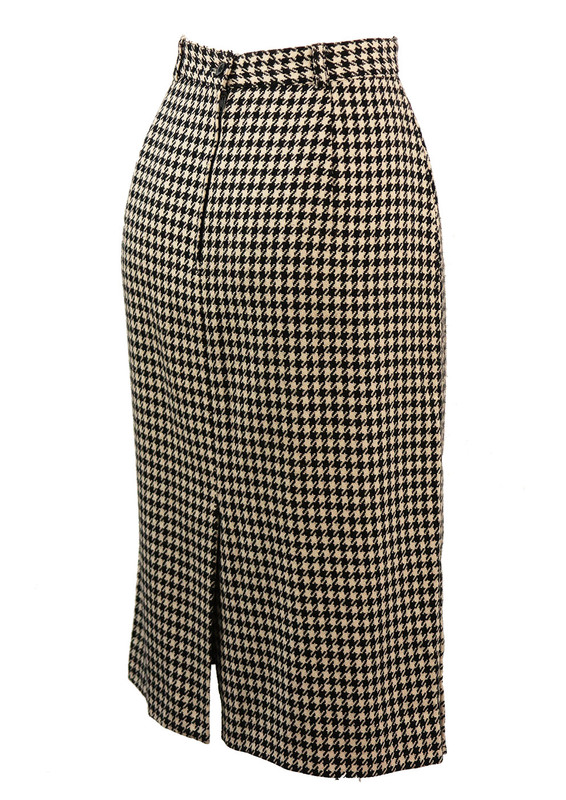 We have sized it between an S and M depending on your individual hip and waist measurements. 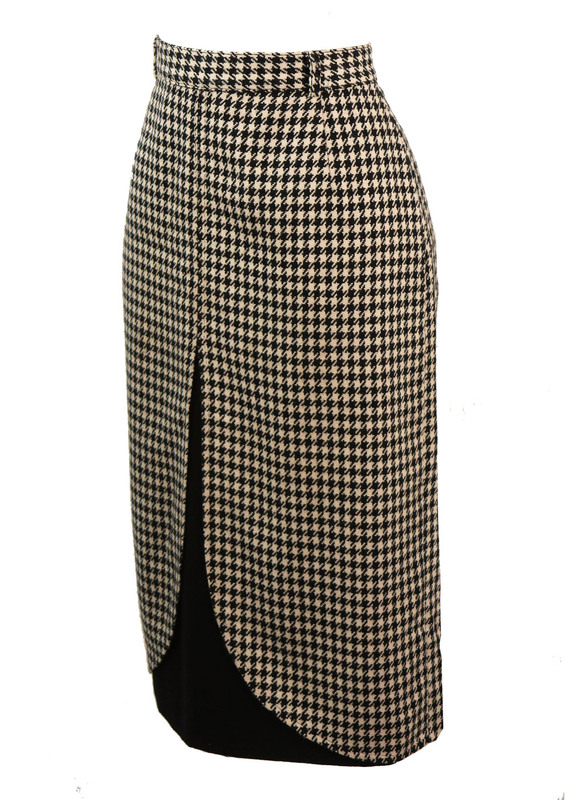 Please refer to our more specific measurements for further sizing guidance.